As a not-for-profit Christian aged care organisation the health and well-being of our residents is at the heart of everything we do. We cater not only for their physical requirements, but provide specialist care for social, emotional and spiritual needs as well. We offer places for people from all backgrounds and circumstances, and a significant proportion of our beds are fully government-funded for those with no assets. All surplus funds are reinvested back into caring for our residents and facilities. We understand that choosing an aged care home for your loved one is a difficult decision, and try to make the process as easy as possible. Our Resident Services Officers guide you through the entry process from the first phone call, to settling your loved one in their new home, and continue to provide support to you and your loved one during their stay. 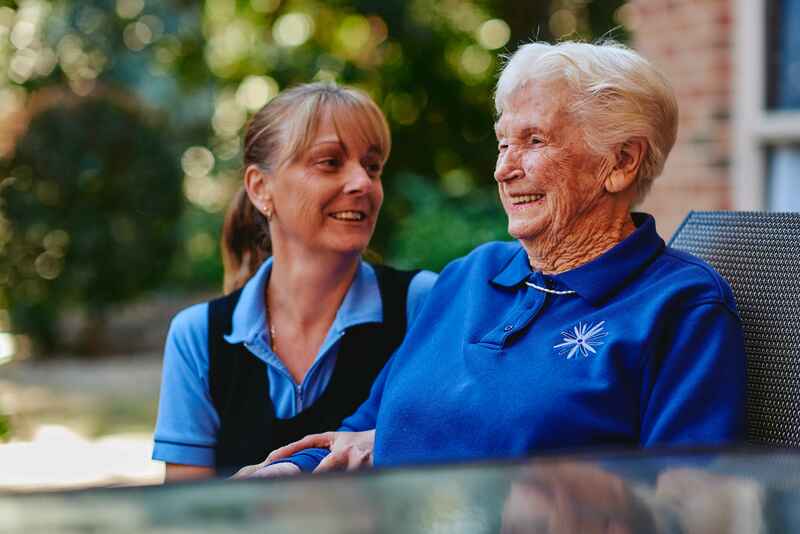 Christadelphian Aged Care employs around 1200 staff including Registered Nurses, physiotherapists, aides, carers, lifestyle specialists and Pastoral Carers who tailor their care to the individual needs of the resident. We hold regular meetings with family members to discuss the health and ongoing needs of residents. One of our core missions is to cater for the emotional and spiritual care of our residents, no matter their background, faith or belief system. Trained Pastoral Carers are employed at each of our Homes, and are there to be with your loved one when you cannot. Pastoral care is not about any religion or set of beliefs, but provides emotional support. Our Pastoral Carers spend time talking with residents, sharing their life stories, and walking with them in the resolution of their concerns. They are also available to help our staff, and to support family members. Getting residents up and active is the sole purpose of our Lifestyle teams. Each Home has a busy schedule of activities designed to foster relationships among residents, and provide joyful entertainment. Our Lifestyle staff are helped by our strong cohort of volunteers who visit every day to help with activities. Christadelphian Aged Care first opened its doors in 1947 and has continued to provide excellent nursing care for seven decades and beyond. We are one of the pioneering charitable aged care providers in Australia, and maintain an excellent reputation in the industry.